Whole Earth Farms™ dry food recipes were created as a truly holistic food at a value price, without compromising the quality of your beloved pet’s food. We take the best, healthy ingredients from the earth and mix them into a delicious daily meal. With multiple protein sources, vitamins and minerals, Whole Earth Farms™ provides your dog with the best the earth has to offer. 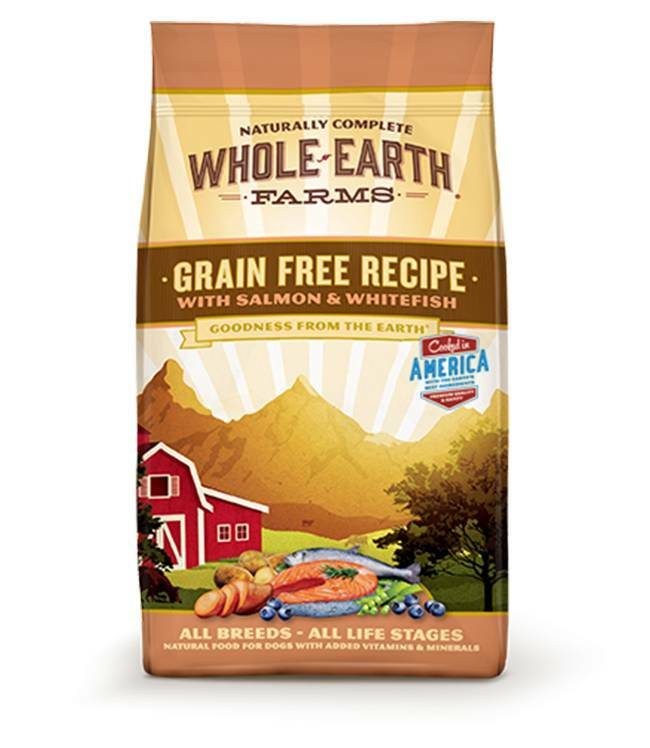 Multiple proteins including salmon meal and whitefish, plus dried blueberries, flavorful rosemary, sage and thyme are just a few of the nutritious ingredients you will find in our Whole Earth Farms™ Grain Free Recipe with Salmon & Whitefish Dog Food. Your dog deserves the very best when it comes to nutrition, and Whole Earth Farms™ is exactly that.